The Giro d’Italia 2018 is only a day away. Jerusalem is hosting the Corsa Rosa‘s opening day of racing and the first chapter of this adventure is a time trial. 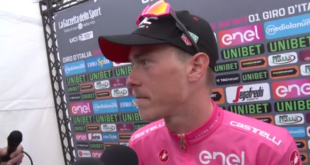 Stage 1 winks to Chris Froome and Tom Dumoulin among the ones that are competing for the GC success. 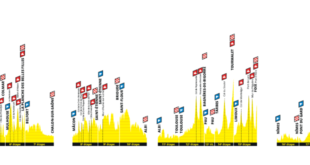 By the way the course is very tricky and hilly so nothing has been already written with regards to the time trial verdict. 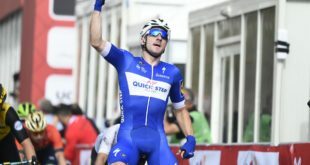 Fabio Sabatini of Quick Step Floors will be the fist starter of the Giro d’Italia. 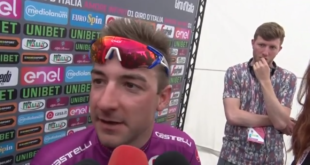 Elia Viviani’s gregario will start at 13:50 local time (11:50 WEST) whereas the last starter will get rolling at 16:45 (14:50 London time). The champion in office of the Giro d’Italia, Tom Dumoulin (Team Sunweb), will be the last rider to start. Most of the GC contenders will get off the launching pad in the very last stages of racing.